The Regional Consultation in Canada and the United States. The consultation was held on January 24-25, 2008 at Collaborative Labs, St. Petersburg, Florida. Hosted by Drug Free America Foundation, Inc. and Supporting United Nations Drug Initiatives and Legislation (SUNDIAL) and supported by the Vienna NGO Committee on Narcotic Drugs. The Executive Summary from this consultation can now be downloaded here. Within the document there is a link to access the extensive report recording the discussions undertaken during the consultation. You can also download images from this consultation. 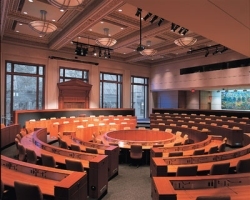 This consultation was held at the Morris J. Wosk Centre for Dialogue, 580 West Hastings Street, Vancouver, British Columbia on February 4th & 5th, 2008. The report from the consultation has now been prepared and it can be downloaded here.